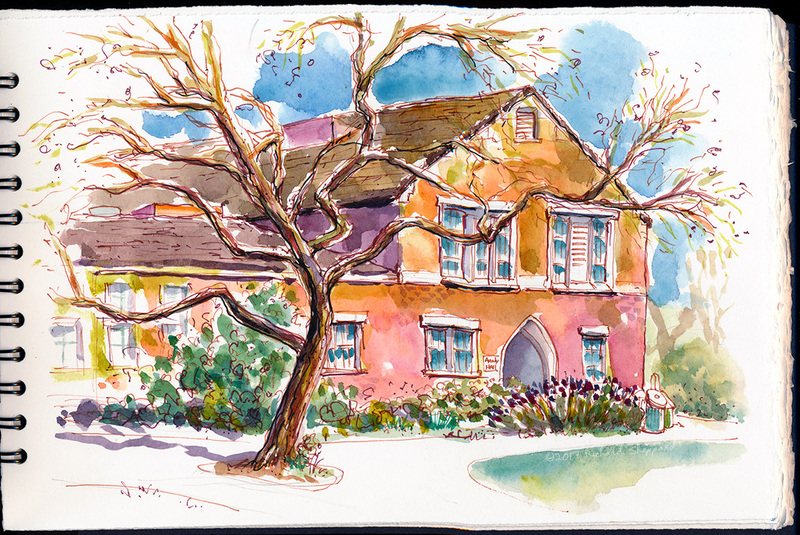 The Ready, Set, Sketch group met at Santa Rosa Junior College today under crystal blue skies dripping with sunshine. The biblical flood that has plagued us for the past couple of months appears to be over, a welcome change. 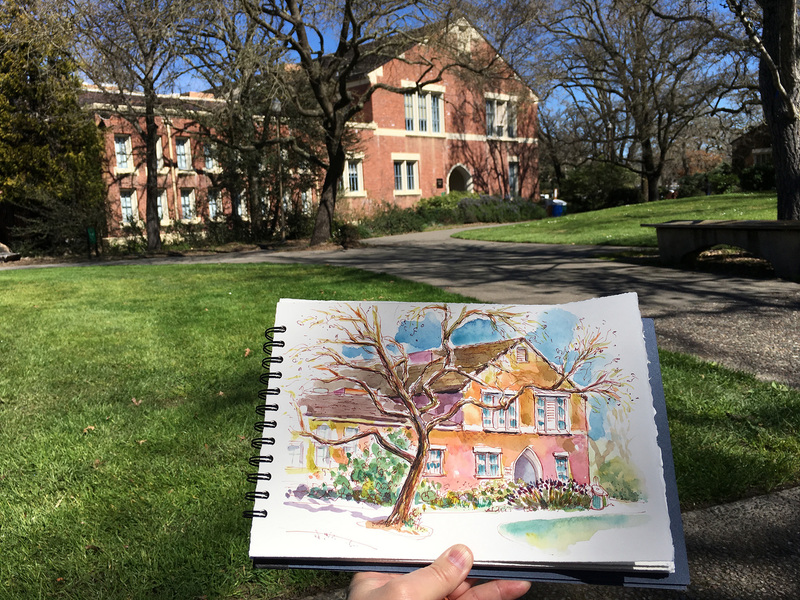 I sketched Analy Hall where the art department is located. It was here that I took etching class nine times and would to take it again if I could. So other than sketching, printmaking is my second artistic love. March 11, 2017 Richard SheppardComments are off for this post.